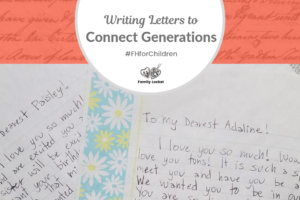 I’m excited to share a guest blog post today by Kristen Ziller and Laura Richardson, two amazing teachers I met at RootsTech. They were there sharing about their 8th grade family history project at the Family Tree Maker booth. They have used their teaching expertise to craft a year long project for 8th graders to learn about their family history through primary sources family stories. Our journey with family history projects for our 8th grade students began in 2014 when I was invited to participate in a three-day teacher cohort on the beautiful campus of the University of North Carolina in Chapel Hill, North Carolina. Sponsored by LearnNC and Ancestry, the goal of this professional experience was for participants to craft family history learning experiences for students using the tools and resources (and inspiration!) provided by guest lecturers from across the country. With my mind overflowing with new-found knowledge, I arrived back at my school ready to reach out to a colleague who would be just as excited about embarking on this journey as I was. It was an easy decision for me to ask Laura, as we had worked together on several projects in the past and she also had a love for family stories and ancestry research. From that point, we put our heads together and developed a six-week sequence of learning experiences, which quickly morphed into a year-long family history project for our 8th graders. The project continues to grow and change as we solicit feedback from students and make additions and adjustments based on our observations of their learning. We are currently in our fifth consecutive year of the project. What is our family history project and what makes it successful? On the very first day of school, Laura sends home a letter and permission form to parents and students so they know the scope and sequence of the project for the school year ahead. During the first semester, we prepare our students for their family history journey with a series of toolbelt lessons. These are preparatory lessons in which students explore family history resources they may be unfamiliar with, gain skills to prepare them for public speaking and interviewing a family member, and have an introduction to genealogy-specific vocabulary. Since this is a year-long family history journey, we consistently introduce new ideas every few weeks, which also provides students time to reflect on their research question and to allow time for contact with family members to interview. One of the reasons this project is so successful is that we work as a great collaborative pair. We use a team teaching approach to deliver content to our students. We teach whole-class lessons during first semester, but during second semester much of the project involves students crafting their own unique essential question that guides their family history research. During this time, we meet with students individually and address their unique researching needs. Since there are two of us, we each visit with half of the class to provide that individualized attention. How do we make the project accessible? Our project is accessible because it’s totally personalized to each individual learner. Are you a student who is a first-generation American? Then, you would explore more recent culturally-based resources for your country of origin. Are you adopted? We thoughtfully encourage conversations with your adoptive family on exploring adoptive or biological roots (we’ve had successful projects exploring both!). Are you interested in climbing your tree to discover ancestors as far back as you can go? We provide strategies for you to uncover those elusive ancestors. The wonderful thing about our project is that educators can make it as small or as large as they want. Some teachers find it a bit daunting to jump right in to a year-long project from the onset. We encourage teachers to start where they’re comfortable and work in a timeframe that is best for their class. What tools do our students use the most on their genealogy journey? The tools students use fall into two categories: organization of information and sources for research. For organizing their information, we created an online classroom via Google Classroom. Assignments and organizational tools drop into the classroom stream for students to access. Each student is assigned their own copy of each document so that they can type directly onto it. We utilize online tools, such as a Google Docs, to communicate with students by making comments via their online Research Notes. This personalizes the project for each student and allows for individualized learning. Laura and I provide our students with a web page of online genealogy resources, organized by category for students to use as a starting point for their research. We are consistently adding to this list of sources, and often make additions based on discoveries students are finding when they research. We solicit student feedback throughout the project and make adjustments based on the unique learning styles of our students. Part of our online web page of resources for the students includes access to ancestryclassroom.com via the Ancestryk12 grant. Through this grant, students are also able to access newspapers.com and fold3.com free of charge when using a school computer on campus. During the toolbelt lesson phase of the project during first semester, we provide lessons on exploring these resources so that by the time students are researching their own family, heritage, or culture, they know what is available and how to access the information they need. How can a teacher find resources to create a similar project to ours? Teachers can apply for access to ancestryclassroom.com on the ancestryk12 website. In addition to the online application, there are several sample lesson ideas that are available. 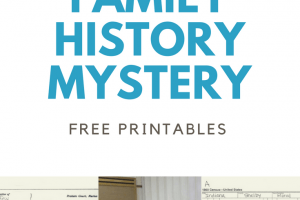 The free iBook, Family History in the Classroom, which features a chapter about our initial six-week family history project from 2014, is a wonderful place to see a variety of family history projects created by North Carolina educators. Have we noticed any students gain emotional resilience and personal strength as a result of learning about their family history? We’ve had a couple of our students uncovered murder in their families, an ancestor who faked his death, an ancestor who was incarcerated, and ancestors who married within their own family. We’ve also had students uncover powerful stories of leadership, those who survived difficult situations, and those who overcame great challenge. Those students view their family members and ancestors as heroes and take great pride in sharing their discoveries with an audience. The focus for our project is about sharing stories. From the very first assignment of the school year, students are given a list of dinner table discussion starters to encourage discussion about family, heritage, and culture. Throughout the entire journey, students are continually encouraged to explore what they’re interested in, what they would like to dive deeper into, and what they are most curious about. If you’re an educator, reach out to colleagues who are also interested in family history research and embark on this journey together. 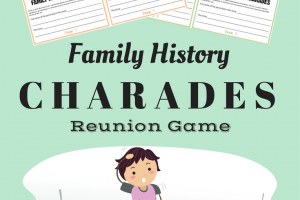 If you are a home-school parent or simply want to start introducing genealogy research to your children, talk to your family about your family. Begin with the timeless family stories and dive deeper into time, place, and the people involved. Kristen has spent her life surrounded by family stories. Her connection to story and the art of bringing her ancestors to life through research has instilled an excitement that she shares with middle school students. Kristen’s professional background includes a Bachelor’s degree in Secondary Mathematics Education from Florida State University and a Master’s degree in Library and Information Science from the University of South Florida. Shortly after earning her Master’s degree, she moved to Raleigh, North Carolina to begin a career as a library media specialist at Durant Road Middle School, where she worked for 13 years. In July 2016, She transitioned to open the new library media center at Pine Hollow Middle School. Encouraging students to explore their roots and tell their ancestors’ stories continues to be one of Kristen’s greatest passions in her work as a library media specialist. Laura graduated from Wingate University with a Bachelor’s degree in English Education in 2007. For the first 4.5 years of her teaching career, she worked at a small school in Granville County, North Carolina. During this time, she also obtained a Masters in Reading from East Carolina University. In December 2011, she joined a year-round school, Durant Road Middle School, and worked there up until June 2016. In July 2016, Laura started her journey as a Pine Hollow Pilot and is working there currently as an ELA/ SS Teacher in the 8th grade. She is the 2017-2018 Teacher of the Year for Pine Hollow Middle School.